Waste papers are one of the most common household garbage. They are shredded documents, cardboards, copy papers, paper cartons, discarded newspapers and magazines at office, classroom, store, street and home. As we know, 90% of paper products are made from wood, and 43% of harvest wood are made into paper products. In this term, Paper recycling contributes to saving wood resources. Waste paper would release toxic substances and contaminate the environment if not handled properly. Waste papers are not easy to store. It takes much efforts to keep them dry and tide. Low density makes it take up large rooms. Making waste paper into paper pellets is a better solution. It has the following benefits. It saves your trouble to tidy the waste paper and the room to store them, because making pellets can hugely increase the density. They will be easy to store and transport in the form of pellets. Waste papers are irregular in shape, low in energy density. They are not convenient to apply, easily affected by temperature and moisture. They can achieve the property of fuel by densification, in other words, pelletizing. Making waste papers into pellets can unify their shape and size, adjust the moisture content, and increase the energy density. This is an effective way to increase their added value. Biomass pellets emerge as a promising energy source. Papers are made of wood, recycle papers and agriculture residues, so it contains a large amount of fibers, which is the essential content of pellet fuel. Paper pellet fuel can be applied in pellet boiler and solid fuel stove to generate heat. 1 ton of wood pellets has the same amount of energy as 120 gallons of heating oil. Adopting paper pellet fuel can reduce the cost of energy. The equipment for making paper pellets includes hammer mill, dryer, pellet making machine, pellet cooler and pellet packing machine. For small-scale production, the dryer, pellet cooler and packer are optional. Waste papers are abundant in schools, printing companies, market, and office buildings. Paper mill residues are another important source. These materials have different sizes and features, you need to sort them in groups for future processing. You need a hammer mill to crush large size of waste papers into powder with the size of less than 6mm. The moisture content of paper materials should be 12%-15%. Neither higher or lower are not acceptable. If the papers are too dry, it would cause static charge and make the pellets light and fluffy. 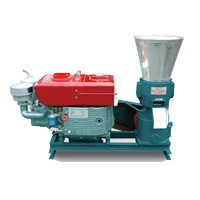 In this regard, you can add certain amount of water to the pellet making machine when processing. If the moisture content is over-high, you need to lower it by putting the powdery material in a rotary dryer or a pipeline dryer. This is the core process of making paper pellets. 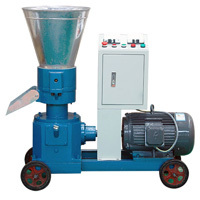 Feed materials of proper size and moisture content into the paper pellet machine. They will get compressed and molded in the compression chamber and come out in the shape of cylinders. Usually, there are ring die pellet machine for large-scale production and flat die pellet machine for small-scale production. The newly produced paper pellets has high temperature of 90 ℃. So you need a pellet cooler to lower the pellets to room temperature. Cooling can improve the stability and hardness of paper pellets. Also, you can put the paper pellets in open air for natural withering. Use a sieve to remove the residual powders in the paper pellets. These powders can be re-pelletized together with the left materials. Pellet packer is essential for large-scale paper pellet production. It can weigh and package the pellet products in bags. Package can protect the paper pellets from erosion of moisture and wind. Pellets can be stored in the closed silos. The quality of paper pellets are determined not only by the raw materials, but also the performance of pellet making machine. A high-quality pellet making machine can improve the forming rate and yield, and reduce the waste of materials. TICO is a biomass machinery manufacturer and supplier. It has integrate the decades of experience and advanced technology in the paper pellet making machine. We are specialized in flat die pellet making machine, which can be classified into die-turned types and roller-turned types. The latter one has higher capacity, and the former one is more convenient and economical. The gearbox is made of superior grey cast iron, which features low noise and good cushioning effect. The pellet machine adopts bevel gear drive, with higher efficiency and longer working life than belt drive and worm drive. We have achieved the best depth and size of the holes on flat die, and achieve the best compression ratio with a multitude of experiments. The paper pellets machine adopts compact structure. It is light in weight and small in size, which doesn’t take much space.